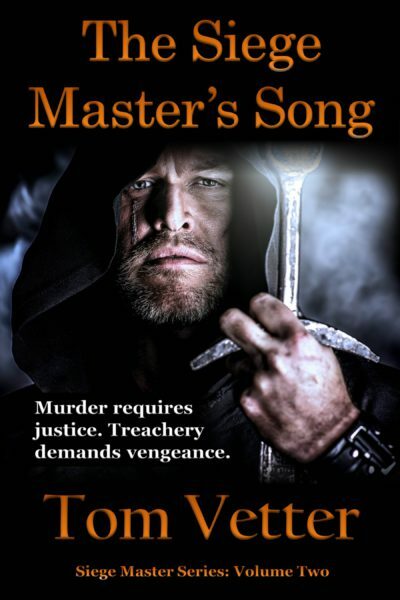 TomVetterBooks | Just in Time for Christmas—Something Good To Read: The Siege Master’s Song! Well, it was quite a struggle, but I got it done at last, and now you should be able to find this, the sequel to Call To Crusade, in softcover print and e-book editions via the links below. I’ll add others as they become available. I truly hope you enjoy it. When justice is denied, vengeance will do. I am Baron Godric MacEuan. As sheriff-at-large for Scotland, I rode the entire kingdom for King Malcolm Canmore, dealing with the worst of men to protect the innocent and enforce the king’s law. Now, I am young, and often underestimated because of it. But that is a serious mistake, for I have a talent for destruction. And not even your castle can save you, for I destroy castles, too. Yet when good King Malcolm was treacherously slain, I could not save him, nor bring his killer to trial … because his murderer was King William Rufus of England. Punish a king? You cannot. But you can take vengeance. So King Rufus rules England, and thinks himself safe to act as he likes because he wears its crown. But no man is truly safe from another set upon vengeance. Even a king. Especially from a man with my skills. SECOND VOLUME IN THE SIEGE MASTER SERIES, THE EPIC STORY OF THE FIRST CRUSADE TOLD AS NEVER BEFORE: AS THE FIRST-HAND RECOLLECTIONS OF A SCOTTISH KNIGHT WHO BATTLES TURKS, TURNCOATS, STARVATION, AND DEATH ITSELF TO WIN A CRUSADE AND RECOVER HOLY JERUSALEM. 384 pages. Release 21-24 December 2016.